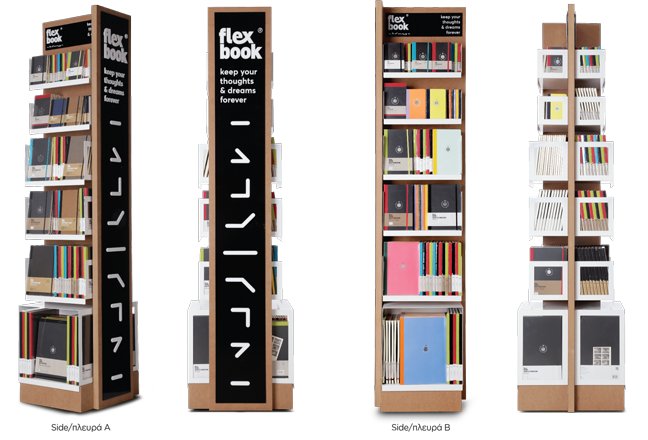 Designed exclusively for our company by award winning “k2design”, our new Retail Flex Concept incorporates a modular philosophy that takes Flexbook one step ahead. It offers flexible solutions and numerous different set-ups for every type of store that customers will love. From single stands, to double stands, to in store corners it creates a unique modern upgraded environment that brings the magic of handwriting at every single sales point.